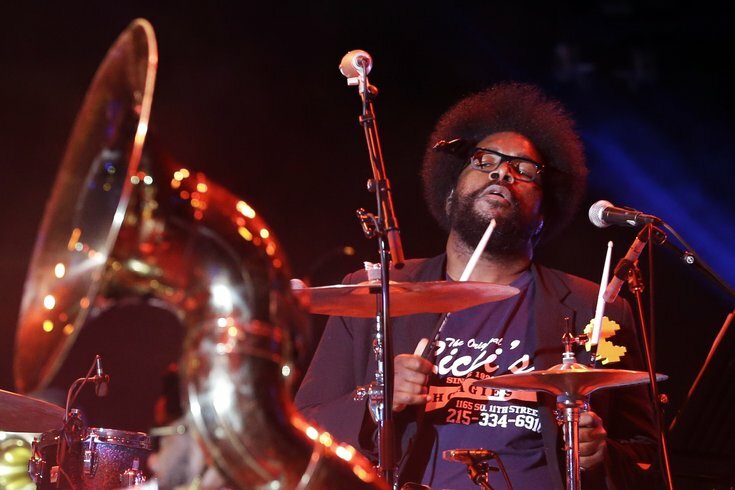 Ahmir "Questlove" Gomez loves Philly, and Philly loves him right back. The Roots drummer who hails from the City of Brotherly Love and is a part of the in-house band for "The Tonight Show Starring Jimmy Fallon" grammed an endearing message Saturday along with a video of the Market-Frankford Line that might tug at a few heartstrings. "Sometimes a cat gets homesick after watching the news 9000 hours," he wrote. "Puts on #Coltrane. Runs to his hometown and just reconnect with his favorite thing in the world: #WestPhilly." It's a sweet sentiment from the artist who's kept close to his hometown after getting his start at the Philadelphia High School for the Creative and Performing Arts in South Philly. Now, aside from his countless albums – including the 1999 classic "Things Fall Apart" – he's also given us The Roots Picnic, the music festival that's been in Philly for the last nine years. Questlove has been politically involved, too. He was scheduled to play at the Women's March on Washington after President Donald Trump's inauguration. Try not to get too down, Questlove. This city will always be here for you.